Patricia is a native of the Lone Star State and lives just outside of Houston, Texas. As a young child, she had the opportunity to live overseas. She worked in the airline industry for over 20 years and is now retired. She has always enjoyed traveling and meeting people from different cultures. Her approach to drawing a specific character for each day of the week was inspired by her own experience with raising a child with a learning/reading disability. 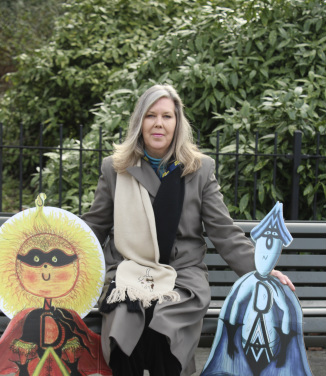 She created the bold bright colored characters to give children a visual association to help them retain the information on the days of the week and the order in which they fall. where all the days reside. they play, they fly, they hide.